Well diamond shape anyway! 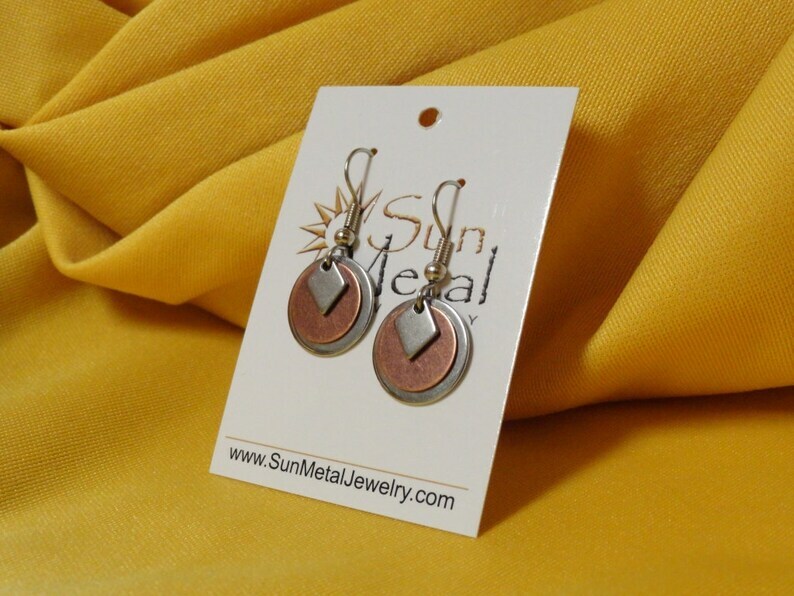 This stainless steel diamond piece is the perfect topper for this sweet earring. It sits on an antique copper disc and a gleaming stainless steel disc. The 3 pieces hang simply from a stainless steel earwire. I like this earring because it dresses up or down. Not too big either, just 1-1/4" from the top of the earwire and 1/2" across. You simply must click here so you can see the amazing pendant you can wear with these!